In 1994, Tomas and April Sluiter left their bakery jobs in Grand Rapids, Michigan, and hit the road. They traveled extensively. Then, in the summer of 200o, they discovered Portland, Oregon. Thomas took an assistant brewer job at the Old Market Pub in Southwest Portland. Within two weeks of his hire, the head brewer quit and Tomas was thrown into that role. He dismantled the old, tired brewing system and refurbished a 15-barrel system. 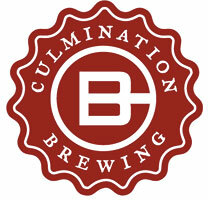 In January 2017, seven years after Tomas left Old Market and almost two years after attempting to open his brewery in Portland’s Goose Hollow neighborhood, he and April opened Culmination Brewing in Northeast Portland’s Bindery Annex building. Tomas, now a certified Master Brewer, built his dream brewery in the 7,000-square-foot space kitted out with gravity-fed tanks. Peaks and Pints has four Culmination Brewing craft beers in the house, so let’s get to drinking Craft Beer Crosscut 1.19.19: A Flight of Culmination Brewing. The Berliner weisse is a light-bodied sour wheat beer that’s known for being highly carbonated with acidic sourness. The name of the style, Berliner weisse, is protected by German law, which states that a beer should only be called by that name if it is brewed in Berlin, just as a Kölsch must be brewed in Köln. At the height of its popularity during the late 19th century, Berliner weisse was the most favored alcoholic drink in Berlin, and nearly 50 breweries were producing it. However, it fell by the wayside as pale lagers became the beers of choice worldwide. Currently in Berlin there are only about three makers. 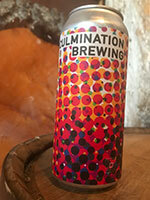 Culmination Brewing and Moksa Brewing Co. from Rocklin, California, couldn’t care less about German law, their collaboration Scales of Passion Berliner weisse overflows with passionfruit, red raspberry, and dragonfruit. 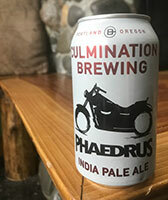 Brewed with Millennium, Galena, Simcoe, Mosaic, and Citra hops, Culmination’s popular Phaedrus IPA hits the nose with sweet caramel malt, light herbal leafy hops, tropical fruit and a kiss of citrus peel. Boatloads of tropical fruit flavors and some spicy herbal notes hits the tongue. 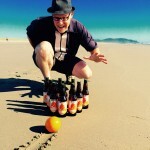 Citrus hops flavor rides into the sunset.